Our new year has gotten off to a great start, and 2015 ended beautifully as well. The deaf Christmas party brought over 30 deaf people. We sang Christmas carols and dressed up as Bible characters to tell the story of Jesus’ birth and the Gospel. To top it off, an online Deaf TV channel came and recorded it for their website. Hundreds of deaf in Portugal watch the videos they post. This year, they were able to see a 25-minute special featuring our Christmas party. We praise God that he is expanding our reach and influence. Round and round the discussion went until Carlos finally said, “We can’t just rely on David to give us the answers. We need to read the Bible and ask questions, so we can understand for ourselves.” AMEN! The deaf all agreed to read Genesis 1-3 this month and to meet and ask their questions in small groups. They also asked David to send them the passage for the next message ahead of time, so they can read it at home and ask all their questions at church. How many pastors would like their congregations to prepare ahead of time and be ready for the sermon?! For the first time, we saw the deaf fired up to learn the Bible. Please pray for them to keep their January commitment to read and learn the Bible. In other news… Our hearing church’s Christmas outreach was also a success. We offered the community clothes, housewares, snacks, and, most importantly, the Gospel. Several of the children we reach have parents who never come to church, but they came that day, and some have returned. Listening to a presentation of the gospel. Two kids made a profession of faith. You may remember that David began teaching a Religion and Morality class this year in one of the high schools in our town. The class is going well, and most of the students faithfully attend despite this basically being an extra-curricular activity. For Christmas, they gave out cookies and thank you notes to the teachers and staff in the school. Now David has gone from being a relatively unknown teacher to being “the teacher that brings cookies for everyone.” It’s not a bad reputation to have J. Pray that this outreach will result in new relationships and a positive influence on our community. Thank you! We look back on the past year and thank God for you. We still haven’t got used to the fact that there are hundreds of people who read our updates, pray for our needs, and care about the work of the gospel in Portugal. It humbles us to know that there are dozens of churches and individuals who gave generously and sacrificially throughout this past year so that we could do what we are doing here. “Thank you!” seems so little in comparison to all you do for us. 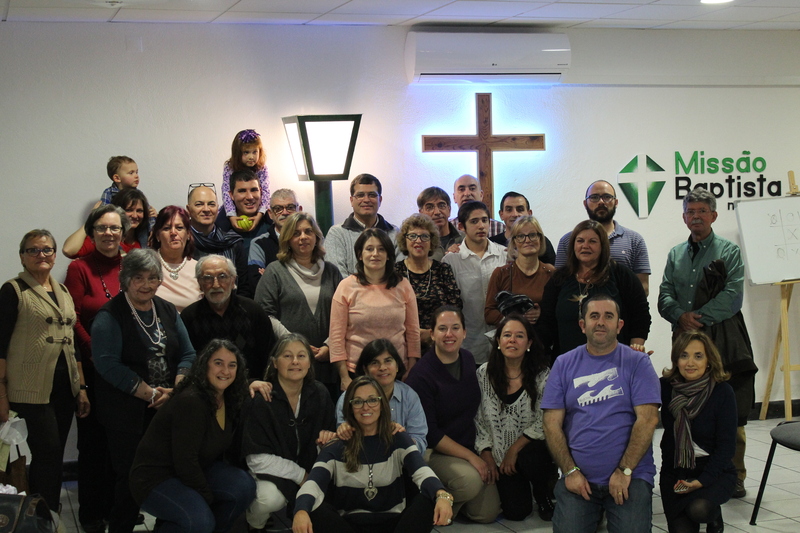 God is working in Montijo and around the world. May God use each of us this year to reach those around us!